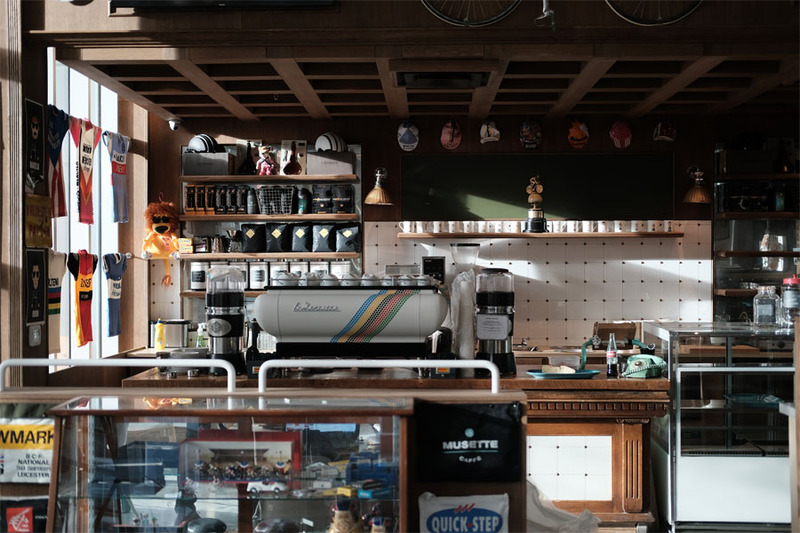 When the original Musette opened up in a back alley five years ago it felt as if you were stepping into someone's basement cycling shrine with every corner of the room lined with memorabilia. But with their old space set for demolition to make way for the new Burrard Place development Musette managed to secure a new home across the street. Working with the design firm Ste. Marie they kept elements from the old cafe but also introduced some new connections to the cycling world. Belgian architect and designer Pieter van Doorn created twenty-six communal tables made with table tops recovered from an old velodrome track in Antwerp. While the banquette seating at the back of the cafe is inspired by the concrete shower stalls from the legendary Paris-Roubaix road race in Northern France complete with the brass plaques that immortalize past race champions. 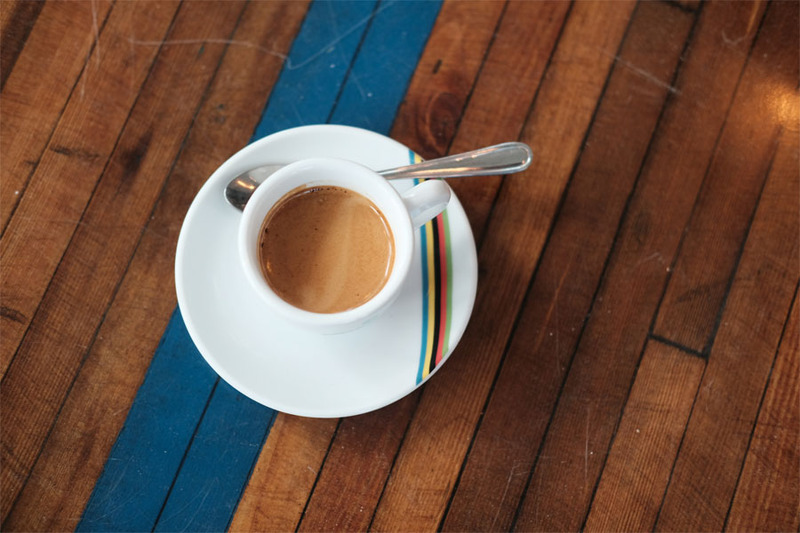 The move also brought Calgary's Phil & Sebastian Coffee added to the coffee menu to compliment a custom dark espresso roast from Pallet Coffee Roasters. 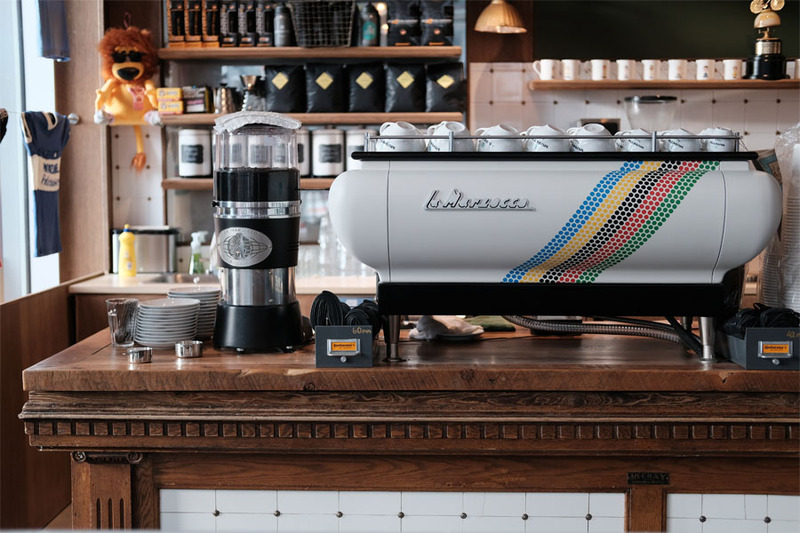 And Musette's La Marzocco FB/70 espresso machine also received a fresh paint job branded with the shop colours and logo that come from the UCI cycling federation colours. Musette also added a new partner for the new cafe with the Wentworth Group (Loden Hotel, Tableau Bar Bistro and the Homer St Café) joining ownership also bringing along their experience running local eateries to help establish the new food program at the cafe.